In the run-up to planned construction measures, often archaeological investigations have to be carried out – provided that meticulous research by the competent authorities (in Germany, for example, the State Offices for the Preservation of Historical Monuments) has pointed towards the existence of cultural goods or assets hidden underground and possibly worth to be protected. Considerable time delays in construction measures might be the result, if there are possibly archaeologically relevant relics of former settlement areas or similar in the construction site. 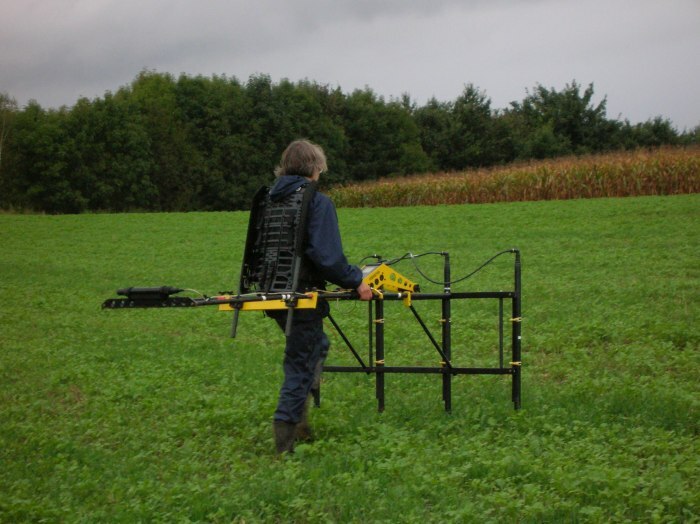 Investigations are often carried out with the aid of geophysical methods such as magnetics or georadar. A wide variety of finds of interest to archaeologists and the general public can be made, ranging from the finest traces to foundations or concealed building complexes. Usually these investigations are carried out with a very high resolution, with a narrow profile spacings, evaluated in two and three dimensions and presented in the form of vertical and horizontal sections. The results are used by archaeologists for systematic excavation campaigns.